Iowans were in for a laughter and tear filled night last week when Lois Lowry, children’s author of books such as, “The Giver” and “A Summer to Die,” dropped into the Englert Theatre in Iowa City, for a heart-to-heart with her fans. The venue was the perfect mixture of old architecture, dating back to the 1920s, and the fighting spirit it contains. Fans, especially longtime fans, in attendance were enthralled with her and hung onto every word she spoke. The crowd wasn’t very diverse, with mostly women and their daughters waiting patiently to speak with Lowry during the Q & A session promised for the end of the night. There were a few men that lingered to buy her autographed books as well, as Christmas presents for family members. The night was full of humor for both the adults and teenagers in the room, but the conversation kept coming back to this idea of being beautifully broken. After the lecture and a lengthy Q&A session, the University of Iowa Lecture Committee, represented by Sarah Tortora, presented Lowry with the 2016-17 Distinguished Lecturer award. 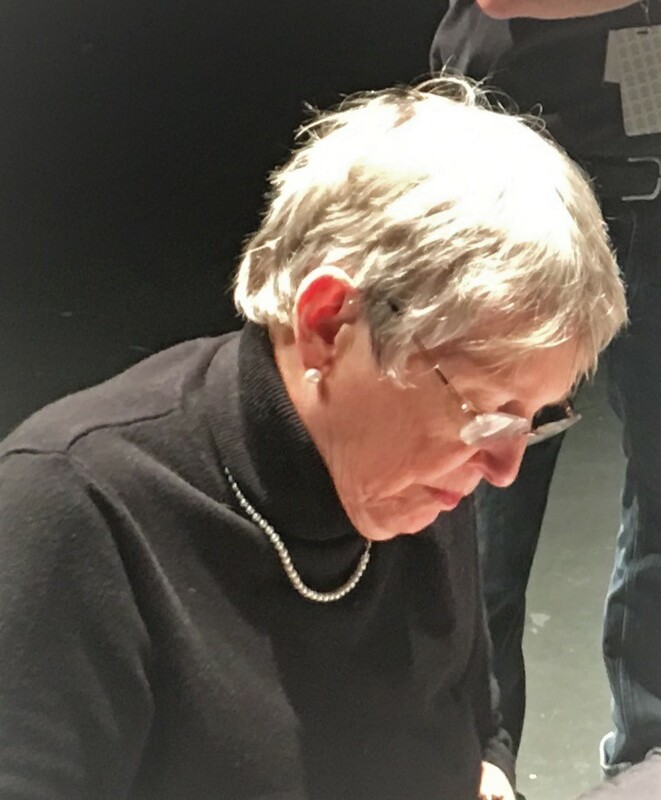 Tortora said, “It is my honor to name Ms. Lois Lowry as our distinguished lecturer for 2016-17,” and a standing ovation broke out with loud applause and silent tears falling throughout the venue. Most of the crowd stuck around to have their books signed by the author and waited in line for upwards of an hour. After reaching her table and speaking with her for a moment, fans were seen leaving the theater giddy and awestruck over having met the distinguished author and lecturer.